The market for bioreactors and fermenters, which primarily are vessels in which an environment can be created for the growth of microorganisms, is gaining traction from the prosperity of the biopharmaceutical industry. Fermenters are used for the initiation and maintenance of some quantity of fungal or bacterial cells in a controlled mode. Bioreactors are extended size of fermenters, getting used for large scale production of biologics such as recombinant proteins, monoclonal antibodies, and vaccines. According to this report, the demand in the global bioreactors and fermenters will expand at a double digit CAGR during the forecast period of 2017 to 2025. This report on the global bioreactors and fermenters market has been compiled by an esteemed group of experienced research analysts who specialize in the field of healthcare and understand the commerce of it. It includes an elaborated overview of the current condition of the market for bioreactors and fermenters and provides insights into its futuristic potential based on in-depth analysis of various dynamics that will define the demand, such as drivers, trends, and restraints. 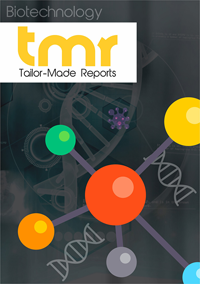 The report segments the bioreactors and fermenters market in terms of product, process, and end-users and gauges the potential of demand that can be expected out of various regions and countries. To finish a comprehensive study, the report also contains a featured chapter on the competitive landscape, representing which companies are currently ahead of the curve and what scenario of shares can be expected towards the end of 2025. Increasing adoption of hybrid technologies for high quality and efficient production by the pharmaceutical companies is the primary driver of the bioreactors and fermenters market. These hybrid technologies enable utilization of single-use stainless steel systems and help in refraining from contamination. In addition to that, the bioreactors and fermenters market is driven by the growing popularity of single-use disposable bioreactors among contract manufacturers. The analysts of the report have also detected that on the back of escalating number of patients with chronic diseases, the demand for biologics, personalized medicines, and drugs for orphan diseases. All factors put together, the global bioreactors and fermenters market can be expected to flourish quickly during the forecast period. On the other hand, high cost of set-up that needs to be put in place before the production starts and stringent government regulations pertaining to the dependency on bioreactors are a few factors hindering the growth of the market. Some of the emerging economies in Asia Pacific are primed to provide for strong demand in the near future. Countries such as China, India, and Japan collaborate to the most prominent chunk of population in the world and a number of pharmaceutical companies have outsourced the production processes to these countries. North America is currently the most lucrative region for the vendors operating in this market, which is a reflection of the presence of a number of pioneering companies in the developed country of the U.S. and strong adoption rate of new technologies. That being said, the region of Asia Pacific is primed to expand the demand at an above-average CAGR during the forecast period of 2017 to 2025. Thermo Fisher Scientific Inc., Danaher Corporation, and Merck KGaA have been identified as a few companies who hold a consolidated position in the global bioreactors and fermenters market. The analysts of the report have detected that the top five companies of this market held nearly 63% of the shares in 2015.